Before Christmas, the beer blogger and twitterverse was full of releases and reviews of Christmas Ales. There’s over 200 varieties listed on http://www.BeerAdvocate.com with the vast majority being seasonals or one-offs for obvious reasons. Some Australian breweries have gotten in on the act over the last couple of years including Redoak, Red Hill and Holgate. Now it’s pretty obvious that this correspondent has been on the road and out of Sydney for a while and I haven’t been to 4 Pines for bit. So I don’t know when this seasonal was launched, but in retrospect – if this Christmas Ale was launched after Christmas – it makes sense. 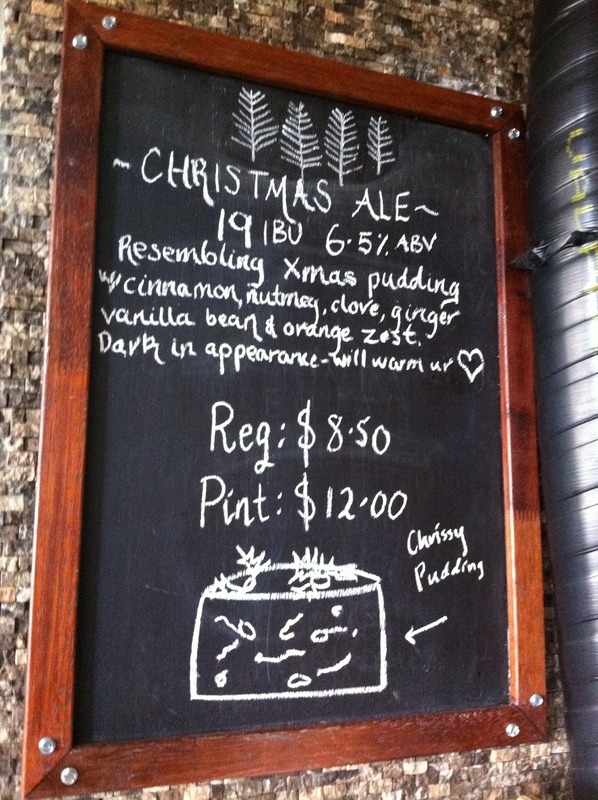 The description (reproduced in its full glory) indicates that they were trying to replicate the flavours of a Christmas Pudd. By the time dessert roles around on Christmas Day, I usually feel like Mr Creosote, and pass on the pudd. I don’t miss out though, because like the Christmas ham, the Christmas pudd generally makes several appearances over the next fortnight. Its taste seems to improve, and the grog does a great job of preserving everything. A good Christmas pudd is rich and complex and this beer matches that. There’s a strong sense of rum about this beer, but it isn’t overpowering. Spices are definitely there, but there’s so much going it is hard to separate them. 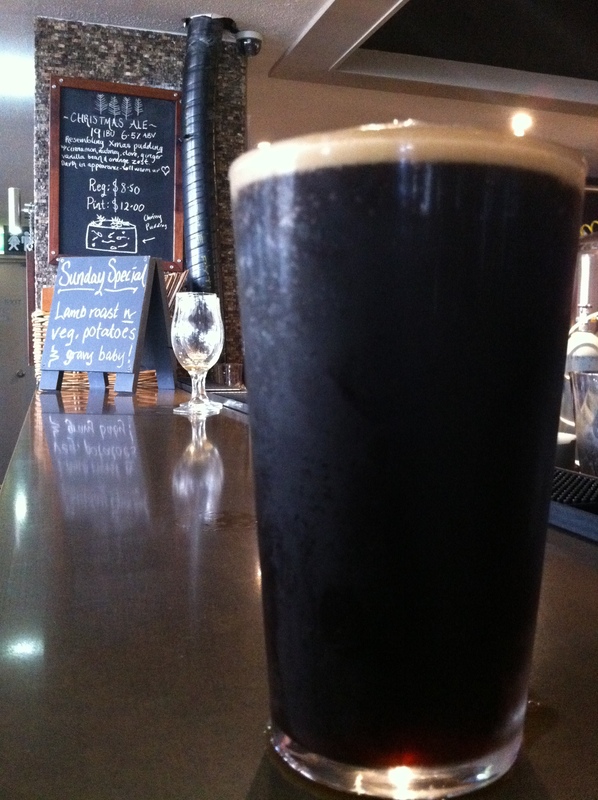 This is a beer to savour and sip upon, and is probably best in a half pint. I really hope this becomes an annual event. Speaking of big feeds, Tony from Toowoomba is a specialist at buying a big cut of meat and barbecuing it very, very slowly. 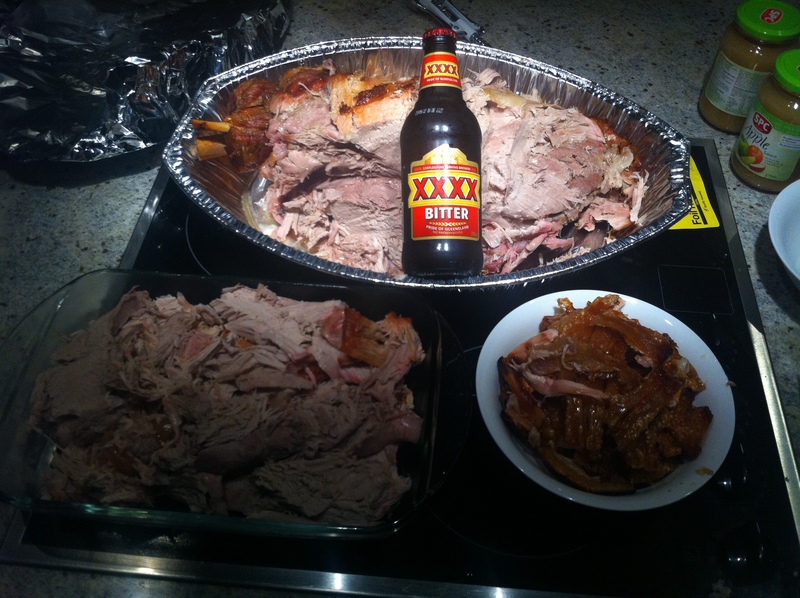 Today’s beerporn displays the results of slow cooking a 9 kilo pork shoulder. The pork was droolingly magnificent and the crackling cracking.